One of the primary reasons for a slow website is images. Images are known to slow down the loading speed of a page. Your SEO will be affected negatively by this. Regardless of this, picture marketing is on the rise since users appreciate beautiful visuals more than text content. Image optimization should be embraced by all marketers as it chips in in ranking higher, and attracting more prospects. Here are a few tips on how to optimize your images. Many people are tempted to use stock photos since they are readily available on the internet. Unfortunately, these same photos are being used by your competitors. This will lead to a uniform result on search engines. Sites like Google are known to penalize websites who use duplicate images. To stand out from the rest, always use original photos since it makes your rank stronger. The average loading time for a picture in computers and phones is 3-5 seconds respectively. When your website precedes this, Google will rank your site lower since speed is a determining factor during ranking. Loading time of your image depends on the size of the image. To avoid this lag, you can use Photoshop web command or Gimp to save your pictures. The main advantage of using these applications is saving your images in web resolution without cropping the image which might alter its quality. To reduce the size of the image file, you can opt to crop the image to the smallest width. Additionally, always reduce colour depth in the cropped image to maintain quality. These are small data sent to your website from an external site once you visit their page. The primary purpose of using cookies is to store session times. Images are also known to have cookies. However, cookies in images slow down the loading speed giving a bad user experience. For images, always use cookieless domains to avoid these mistakes. For mobile users, it would be worse since the loading time for images is quite high. In the internet, images can be saved in two formats; the JPEG and PNG. JPEG is known to be the widely accepted format all over the internet. This is because of the high compression they offer besides maintaining the image quality. This makes the final image file small but quality thus increasing its loading rate in any device. If you have smaller images without colour details, you can use the PNG format. This produces a minimal file size. In a website, always use PNG instead of the commonly used gifs since the latter may ruin your quality. There is a high likelihood that most people may not read your entire content due to everyone’s busy schedules. Pictures can, therefore, speak for the content by putting captions at the bottom of the image. Always make sure that the caption covers every detail that you wish the reader to know. Besides captions, always use alt text on your image. The Alt text is beneficial since it gives detailed information about the photo. In case the image fails to load, the text will always be displayed on the top left corner of the image frame. This means that even without seeing the image, the reader will have a good grasp of what the image represented. To increase your ranking, use keywords on the captions and alt text. The Alt text is very critical since all websites have to comply with it in the USA as per The Americans with Disabilities Act. The blind are given a chance to know every detail about your content even without seeing the images. As you upload your image, always ensure that it is placed next to the relevant text. The main reason to abide by this simple rule is that; search engines always extract the page where the image is found to find your subject matter of the post. Using the wrong image for the context may confuse the search engines, and they may end up not recognizing it in the searches. Once your website fails to come up during searches, it will hurt your site as well as being irrelevant on the internet. The worst mistake a marketer could make is using images that are only responsive on certain devices such as laptops and desktops. Some of these images fail to display on mobile phones, yet they are the most commonly used. 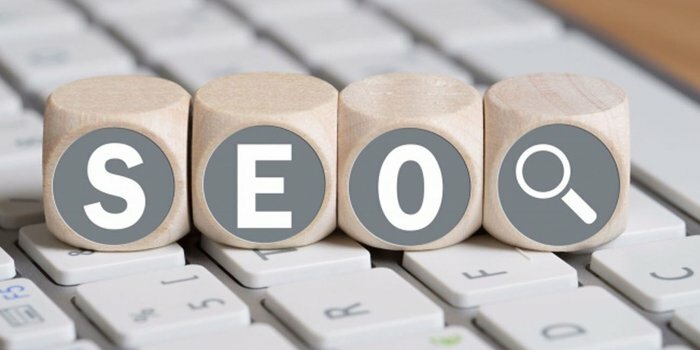 When this happens, the bounce rate may increase leading to a bad reputation in the SEO. Always check the display of your images in all gadgets before posting to avoid the grave consequences. To increase the loading speed of your images, always remember to work on the size of your image. The above tips will optimize your images which will, in turn, improve your SEO ranking. Google has offered free tests on PageSpeed insights whereby you run your website to check on the loading speed. Once problems are discovered, Google redirects you on some easy steps to optimize your images. Do you want to learn more about SEO and take your business to a whole new level? Visit https://serpbook.com/blog/rank-tracking/, you will thank yourself later!